I Love Arnside & Silverdale: My up to date sightings etc. - from Mon April 29th 2013. My up to date sightings etc. - from Mon April 29th 2013. Sunday May 5th 2013 (Burton In Kendal) "First Swift"
1430hrs-1530hrs (Wind: 16mph SW) Plain Quarry to Trig and return. Still strongish winds from the SW, and very little in the way of bird song. Scratchy from a couple of Tree Pipits, Lots of vocal from Green Woodpeckers towards the bottom of Dalton (upper). My first Swift of the year crossing over Dalton to the North. 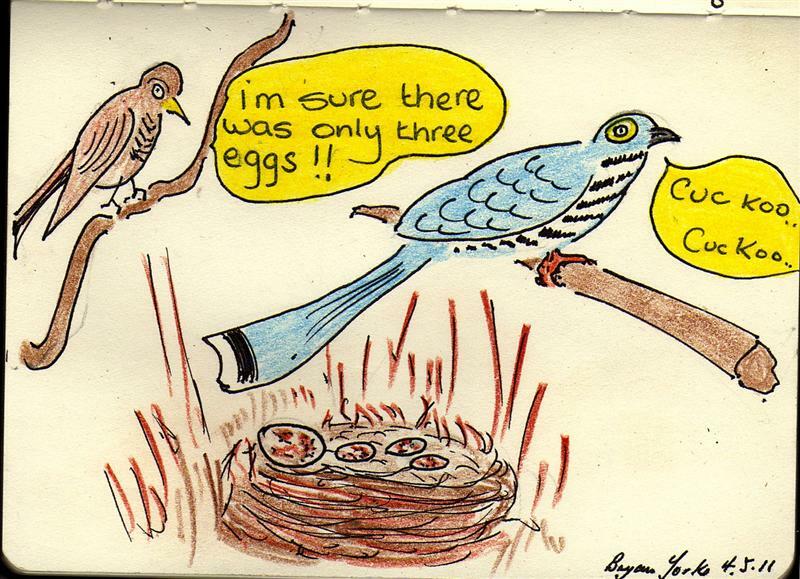 Never seen or heard Cuckoo. Still strongish winds from the WSW, and at times light rain up until about 0730hrs then clearing from the West. Nothing much on offer this morning with no Warblers singing, or no sightings of Hirundines etc. Checking out Slape Lane areas and Pickles Wood looking for suitable Flycatcher, Redstart habitat. Found some more Herb Paris in Pickles Wood. Small copse near Pickles Wood is absolutely carpetted with ramsons (not yet flowered), I have been searching for a name for this copse for ages so what better and simpler than "garlic copse". Odd Willow Warblers and Blackcaps calling. Lot of dark solid cloud threatening rain. Lighter coloured cloud mainly to the East. Chiffchaff Lee calling from Thornleigh, Blackcap from Hordley, also Blackcaps behind Church Bank and again at Piper Lane, Clawthorpe. Swallows seen near Green Dragon, Russell Farm and Oakwood Farm, Clawthorpe. Expecting the arrival of Burton's Swifts over the next day or two. 0900hrs - 1100hrs (Wind: 15mph SW) Plain Quarry to Trig and return. Cuckoo again today playing elusive with no personal sighting and definately again no calling. However it was reported to me this morning that the bird was calling yesterday evening. Also the Northern Greenlands Wheatear have now moved on. Odd Redpolls and Linnets moving about - (presumed local). The two pairs of Mistle Thrushes present in Dalton Upper have started singing on a regular basis. A few of the Willow Warblers in song, most of them silent, also the Blackcap and Garden Warbler and Chiffchaff are silent. Just realised again this year on this side that I have not seen any STONECHATS. Thursday May 2nd 2013 (Burton In Kendal) "Common Redstart"
Very heavy frost on windscreen again and much colder today, but sky looks clear with no or very little cloud, so would expect to follow a lovely sunny day. 0900hrs-1130hrs (Wind 7mph W) Plain Quarry to Trig and return. All Tree Pipits singing, two in lower Dalton Crags, and three separate in Dalton -upper. Also the Blackcap which frequents the top of the lower Dalton Crags has returned and in very defused song. In Dalton upper I thought at first I saw a Sparrowhawk fly across from East at the Gully to the West, but should have realised it was the Cuckoo. The Cuckoo has been like all the rest of the migrants this year, very quiet - not singing. Also saw three new arrivals of Northern Greenland Wheatear on the Crag House side, I saw two males and one female, but talking to Bern earlier, he told me he had actually seen four on the wall, so I probably had missed one. 1430hrs- 1700hrs (Wind 8mph WNW) Burton Fell in search of Redstarts and Warblers. Had a Comma Butterfly on Slape Lane on my way up to Burton Fell. Found a new colony of Herb Paris. Found a female Redstart towards the bottom of Burton Fell. Several Willow Warblers in song throughout and noted, but because of the time of day most birds were much subdued in their song. Wednesday May 1st 2013 (Burton In Kendal) "Cuckoo returned"
Frost on windscreen, Cloudy with sunny breaks, not as clear as yesterday. Chill with cool breeze. Only Chiffchaff in song was "Mo" singing again from somewhere around the rear of the Creamery. Swallows sat on telegraph wires at: between Old Royal Pub and the Kings Pub, Church Bank Farm, Clawthorpe House, Oakwood Farm at Clawthorpe. Also Blackcap is back and in song at Woodlands, Clawthorpe. Reliably informed that the "Cuckoo" has returned to Dalton upper. Still plenty of cold wind about in between some nice short sunny spells. The Cuckoo was elusive to me and although I searched all over upper Dalton and upper Lancelot, I couldn't find it. No signs of any Greenlands today, its obvious yesterdays single male has flown on. Probably up to three pairs of Tree Pipits in lower Dalton Crags and definately two pairs in Dalton upper. Some of them calling and doing their downward parachute display. Craig the Chiffchaff was calling today at Plain Quarry after a few days of abstinence, and a nice suprise to hear from Chiffchaff "Nineteen". He's always a late caller this one! All Willow Warblers/Blackcap/Tree Pipits recorded en route. Frost on windscreen, becoming lovely sunny morning with very little intermittent cloud. One Chiffchaff calling and that was "Mo" who had moved a little to the rear of the "Creamery". Nothing heard from any of the other Chiffs, but the odd Willow Warbler heard here and there. Odd Swallows on the telegraph wires near their breeding territories eg: Russell Farm and Oakwood Farm at Clawthorpe. Plenty of birds singing in general this morning so off out shortly to do a full count of singing warblers (I hope!) up on the Hutton Roof Crags (west side). With the weather being bright and sunny and the wind having dropped right down in the sheltered areas I thought I would give a good check out to the Warblers in Burton Fell, and Lancelot Clark Storth and Dalton. Sadly the Chiffchaff situation is a tragic one and definately as expected if not a little worse with less than 50% of birds having returned to their normal breeding sites. Out of the 50% returned there have also been the the odd individual that had managed to return are now no longer on their respective site. There is however plenty of good news with the Willow Warblers and the Blackcap having done extremely well with even more birds on territory than last year. 12 Willow Warblers in Lower Lancelot, 9 Willow Warblers in Upper Lancelot. 15 Willow Warblers on Burton Fell (South & West side only) - Total 36 without Dalton. Also: 2 Blackcaps at Slape Lane paired, at least 6 Blackcaps in Lancelot, all three Chiffchaffs calling in Lancelot, 1 in Storth and still just the one on Burton Fell. 1 Garden Warbler suspected in Lancelot (Pickles Wood). Also 1 Northern Greenland Wheatear (male) in Dalton upper along with 3 singing and displaying Tree Pipits. Also: 1 Small Tortoishell Butterfly, 2 Peacocks, 1 male Orange Tip. What a difference it makes having some sun. The insects have been out in force and just whats needed. Even in the tractor tracks partly filled with water here and there were "pond skaters" and lots of other sorts of water beetles. Gnats have been hatching etc. Lets just hope now that it keeps up for a day or two. Had a new Chiffchaff calling and this time from the "Tanpits" area. I am not getting too excited yet! Not sure yet whether its a new arrival or is it just that "Archie" has moved over a little from Orchard Close. Still no song from lots of other Chiffchaffs and Willow Warblers and the odd scratchings of calls from Blackcaps. One Swallow on telegraph wires in Clawthorpe (Oakwood Farm). Will shortly be off out again to check the "Northern Greenland Wheatear" and I wonder if the Cuckoo is about yet, he returned on the 27th April last year. One Tree Pipit just about heard coming from the "Clearing" in Lower Dalton, just before you ascend the Crags, another one singing quite well with much of its "diminishing crescendo call" whilst parachuting display at the first set of trees in Dalton (upper) and then heard just the contact call from another somewhere near the line of Trees. Just one Northern Greenland Wheatear in today which was a female which was seen flitting backwards and forwards from "The Gully" to "Wheatear Plain" and later back again. No Chiffchaffs calling yet again (Tuesday last was the last time heard), and a few rather subdued Willow Warblers (maybe up to 4) by now usually there would be up to a score in song whilst on way up to Trig. Had a quick walk around Dockacres, and noticed there was one Chiffchaff singing OK, several Willow Warblers (all in song) and a possible Sedge Warbler. Looking along the dyke area I noticed there was lots of "midge insects" and just at this point it is also rather sheltered from the strong westerley winds. Obviously makes all the difference! For earlier information check blogs below the Chiffchaff notes.